« Little Red is Here! Is your yarn stash feeling in need of a make-over? If you’re anything like me you have an extensive stash made up of a mix of stunning yarn and some seriously less than awesome stuff. When I first started knitting I just didn’t know there were so many nice fibers out there! 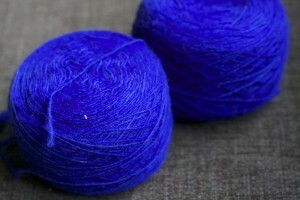 I have yarn that is stunning but the project I bought it for no longer holds my interest or (even worse) I can’t remember exactly what my plan was in the first place! It’s lovely yarn and it needs a good home! There is a great stash busting solution coming up this weekend! Welcome to the world of the yarn swap. Take your full skeins down to the Cambrian Hall (address below) and do some swapping! Take home some great yarn that is more to your current taste/obsession and leave behind some skeins that needed a good home. It’s lots of fun and a great place to meet some knitters. Click here for more information on Knitsocial. This entry was posted on Friday, August 12th, 2011 at 1:26 pm	and is filed under Uncategorized. You can follow any responses to this entry through the RSS 2.0 feed. Both comments and pings are currently closed.